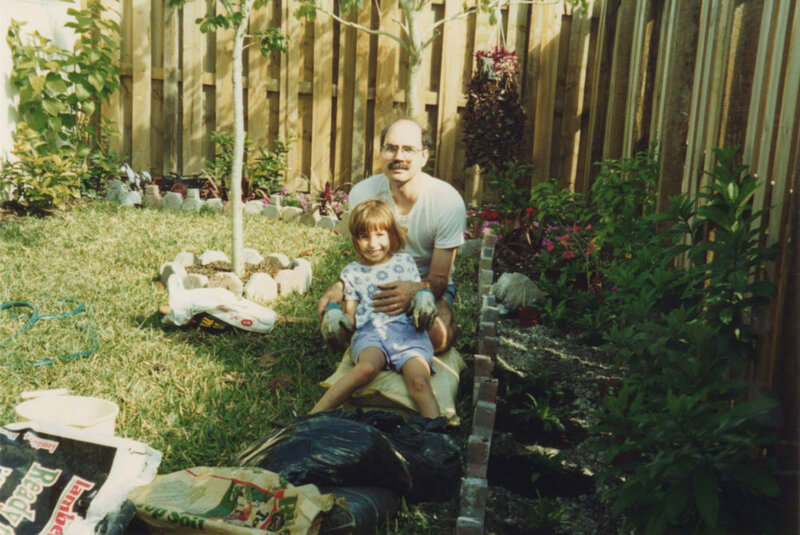 There I am, helping my parents water their garden at the first home I lived in. Today, I’m still helping out with their garden. I didn’t realize that I basically grew up surrounded by plants. My grandpa studied agriculture so that’s probably where we got our green thumb from. We think my mom made that outfit for me, it has little horses running around. This was our first real garden in the home we’re still in. My mom said I wanted to help my dad! I don’t remember that part but I do remember getting my photo taken. I believe it because I do love helping others out. Our yard was so minimal. Now it’s a crazy fruit, herb, and veggie jungle. My rockshrimp toes were overwhelmed too. Me in 2018. My parents discovered Isaac Farms Nursery and knew my sis and I would love it. I was so overwhelmed! There were several of these tents full of different types of succulents. I saw how their gardeners were propagating and decided to see how it works. Now I have several babies growing! It’s very easy to do and fun to see them sprout. Plants seem to be a fad now which is great because it brings awareness to nature and how to care for it. It’s so rewarding to see your plant babies grow and eventually blossom! As a young adult I don’t think I paid too much attention to gardening as I was so glued to my computer screen learning about my career and culture. Now I’m less attached to the computer and more into being outside relaxing with our garden. I definitely feel older now that I entered my 30’s and pretty proud of it too. I was afraid of not having done certain accomplishments at a certain age and now I simply don’t give an f. That’s all a social construct and I dislike following someone else’s standards. What gardening teaches you is that each plant grows at a different rate, just as you and I do. Each plant has different needs and environments it likes to be in. So do I. Now I just focus on the small things in life that make me happy and worry a lot less now.